It finally feels a little like summer! Watermelon rules at our house in the summer. Makes me want to take a big bite out of those! 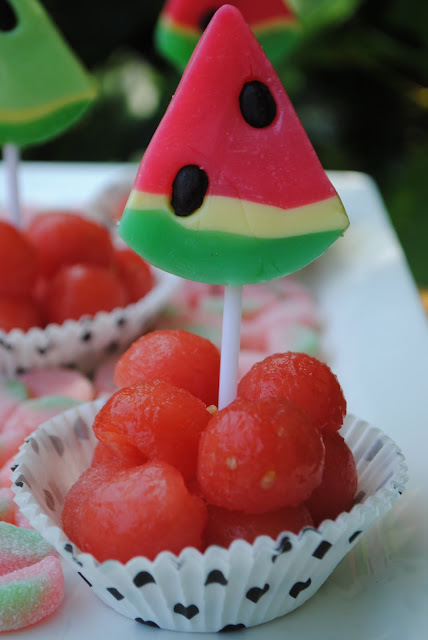 Did you make the watermelon lollipops?? I host a weekly Friday link party I would love you to come and join if you are interested! What a creative idea! Love it. Stopping by from Sassy Sites. love those...perfect for a bbq! 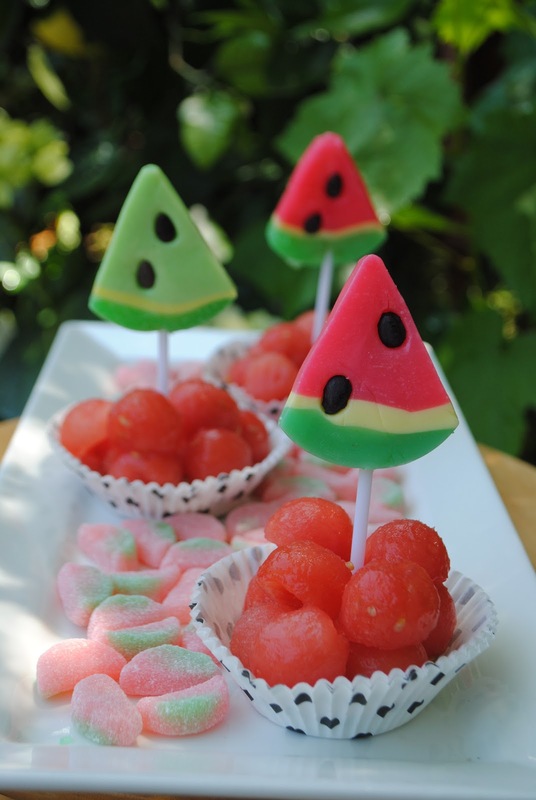 Yummy, watermelon is my fave! 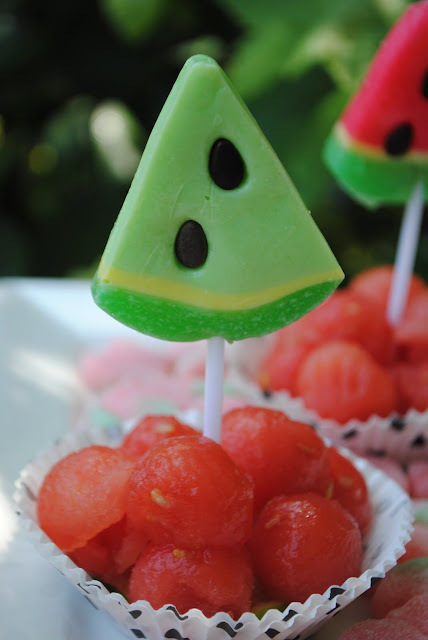 You made something healthy such a great sweet treat for the kids! Thanks for sharing! TOO cute! I'm featuring this tomorrow over at our Saturday Shout Out party! Thanks for linking up at Sassy Sites for our ffa party! Have a wonderful weekend! xoxo!! This is so creative! I never would have thought of this! The presentation is so cute and it looks yummy! I'd love to have you link to my summer-long party! What a sweet idea! And healthier than the typical cupcake too. Where did you get the lollipops? We'd love to see you at our Monday Link Up over at www.dimpleprints.com! So cute! Where did you get those fun watermelon pops! Wow! Just spent too long looking at your blog. So many cute ideas, I will be back often. Have a great day. Really cute, fruit and sweets all in one. Saw them on These Chicks Cooked. 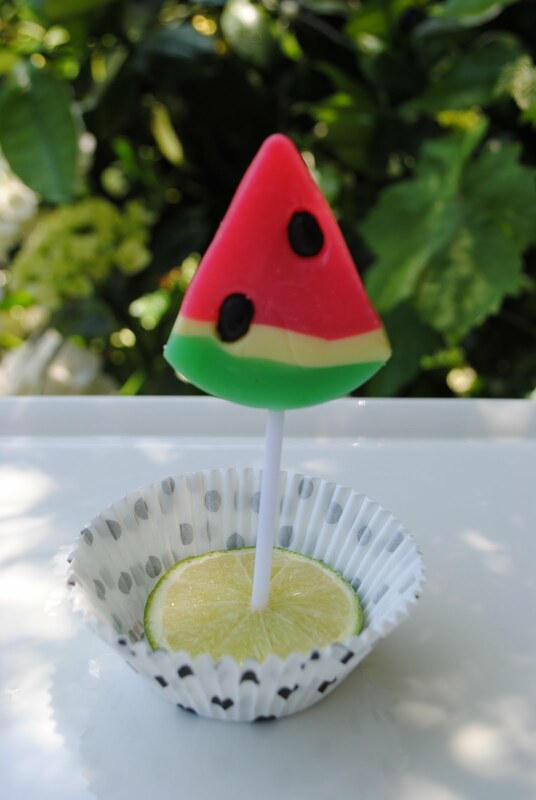 How adorable and so summery! These are the cutest things and perfect for summer entertaining. My kids would love them! I'd like to invite you to share these on A Well-Seasoned Life's Sweet Indulgences Sunday. Those are adorable! You have got to be such a creative person to come up with these! how do you make what is actually on the sticks? these are AMAZINGLY adorable! I have no way to reply to you!